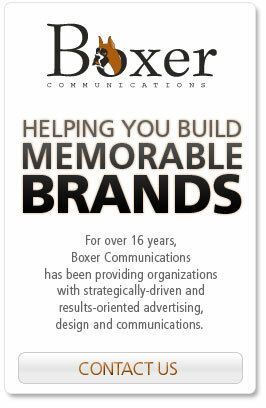 Boxer Communications is made up of a network of highly talented, creative professionals. We produce high-quality creative solutions without the big cost of large advertising agencies. How can we do this? Simple. Our clients benefit from our virtual office settings. With no huge overhead of fixed salaries and rent, we’re able to concentrate on results-producing, quality work with out the big billings that other agencies need to charge. Whether your project calls for a copywriter, web developer, or a graphic designer...we pull the resources needed to complete your project, on time and on budget, from our network of professionals.